If I haven’t mentioned it before, I’d like to remind you that I am a Tech babe for life! For years I honed my skills as a programmer (certified by Java and Oracle) while employed by some of the best companies in the world. My apps were stellar (if I do say so myself) and clients were always happy. However, as a young programmer, I’d look around and see very few female programmers, and even fewer people of color venturing into the world of technology. Today, I’m so excited to be co-developing some really exciting initiatives to improve the pipeline of women and underserved minorities in technology. More to come on my technology initiatives in future posts…. Women make up nearly half of the workforce, yet they held only one quarter of all technology and computing jobs in 2011, according to the U.S. Census Bureau. According to a study by the Center for Work-Life Policy, 74 percent of women in technology report “loving their work,” yet 56 percent leave their careers at the “mid-level” point — more than double the quit rate for men. And they’re leaving not because of family obligations, but because they’re dissatisfied with their jobs. Only 10 percent of corporate officer positions and 11 percent of board of directors’ positions at Fortune 500 technology companies were held by women, according to the 2008 census of corporate officers and top earners of Fortune 500 companies by Catalyst, a nonprofit devoted to expanding opportunities for women and business. 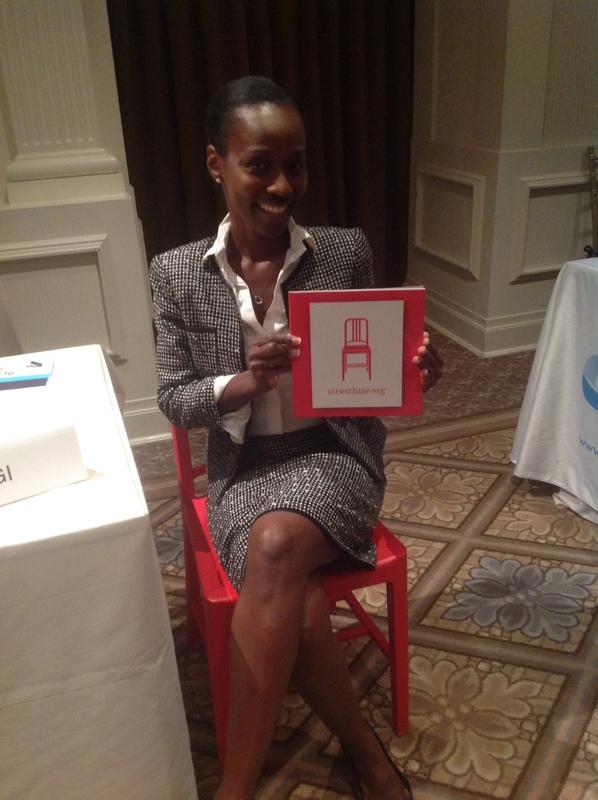 I hope that more women (and men) join me in this red chair.